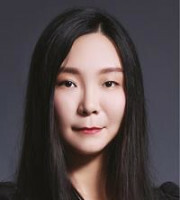 Gloria Q Wu graduated from the Beijing Foreign Studies University School of Law in 2005 and began her IP career the same year when she joined Kangxin. Ms Wu has assisted IP owners from all over the world in devising and implementing tailored strategies for IP protection in China, dealing with both prosecution and litigation cases. She is also experienced in dealing with cases involving different types of IP rights, such as patents, trademarks, copyright and domain names. Based on her deep knowledge and extensive experience of IP practice, she provides proactive, insightful advice to clients who encounter complicated disputes in China, and helps them to resolve their problems successfully and efficiently. Ms Wu is also active in IP transactions and licensing. She has successfully assisted her clients in the monetisation of IP assets and has also provided legal services such as drafting and reviewing agreements, due diligence and negotiation. She has authored many articles in both Chinese and international journals and has been frequently consulted and interviewed by legal media to give comments and opinions in relation to the latest influential IP cases or other new developments in China’s legal system. She is also an active speaker and moderator at international conferences and seminars, sharing her knowledge and experience of IP practice in China with audiences from all over the world. Ms Wu works actively with legal tech teams in Hong Kong, Bejing and Suzhou in developing software and tools for IP practice, such as trademark search engines using artificial intelligence technology and patent transaction platforms using blockchain technology.